This is a collection of all our events in the series of "Body Matters", dedicated to unified human intelligence, its tangible and intangible nature. Our path is rooted in the journey towards cultural transformation, where values guiding human life are shifting: personal enlivening and purposeful living replace the traditional ideas of success, relationships grow to be mutually aware partnerships; attention to life around and within, balance and respect of differences, and holistic mindset become unifying embodied principles. This event series is our wish to create a meeting space for encounters and exchange where true collaboration becomes possible. We believe in collective intelligence beyond one-method-approach developed by an individual or an established school of thought, in sharing knowledge without the necessity to make others believe in something, whether in esoteric ideas or complex scientific concepts. We want to collaborate with people who are serious about their work and search for meaningful exchange with other people who care. We are interested in sharing experiences and knowledge in ways that relate to direct experiences of lived life and that can be understood by anyone independently of their background. There are no secrets, just different perspectives, different things we notice and experiences we live through; so we come together to share them. We also believe in artistic expression being equally important as lectures and conversations, therefore artists and a variety of ways of expression and interpretation are part of all our events. The everyday life matters. How we perceive, think, make decisions, act and interact, all these are rooted in the experience of the body. This event investigates various aspects of how somatic intelligence is expressed, developed and lived in a variety of material and immaterial circumstances of the everyday life. In Western culture, we often experience a strong dominance of the intellect and a primary appreciation of mental intelligence. The body is frequently treated like little more than a vessel to carry the brain around. This empiriocentric mindset often disregards the significance of subjective impressions. There is little more subjective than how one feels in ones body. Somatic intelligence, the ability to identify and relate to patterns in body related expression and sensation, is of course and necessarily a fundamental component of how any human interacts and conducts themselves. This event is for everyone interested in or working with the body as not necessarily an exclusive but an essential point of access to the world and their own reality as well as those of others. Whether it is personally or professionally. This time it will be a fluid format between a mini-symposium (as we use it, in original sense of the greek word) and an unconference, expanding our usual evening open space to a half day self-organised sessions, in order to enable a community of everyone participating to pursue the multitude of purposes that exist within the range of talents and interests present in the room. It should serve as an environment of focused exchanged around the myriad ways we use and develop the sensitivity of and around our bodies to interface with the world. It should provide an opportunity to share practices and ideas, to deepen our understanding of the extent of this concept and it is highly encouraging towards creating collaborations amongst those who do or want to work in this area professionally. To stay tuned sign up for our NEWSLETTER here. Body Matters: A Language for the New Era. This event is about remembering our multi-lingual nature. About learning from ways of expression and communication other than our own. Each language creates its own universe of values. Without being shared languages run into danger of solidifying our perspectives, rigidifying and turning into a prison, only allowing us to see things in a specific way. This get-together is a creation of a contact zone that aims to contribute to the better understanding of oneself and more elusive aspects of our own experience, as well as other people, whose languages shaped their world in a way different from ours. Body Matters Research Lab: Embodiment for Improved Learning Abilities. This research lab will be dedicated to the question of embodied learning and its capacities to increase the potential for human thinking, learning, and knowledge sharing. Join us in an afternoon dedicated to explore these horizons in various ways and by diverse means of discussion, movement and awareness training. 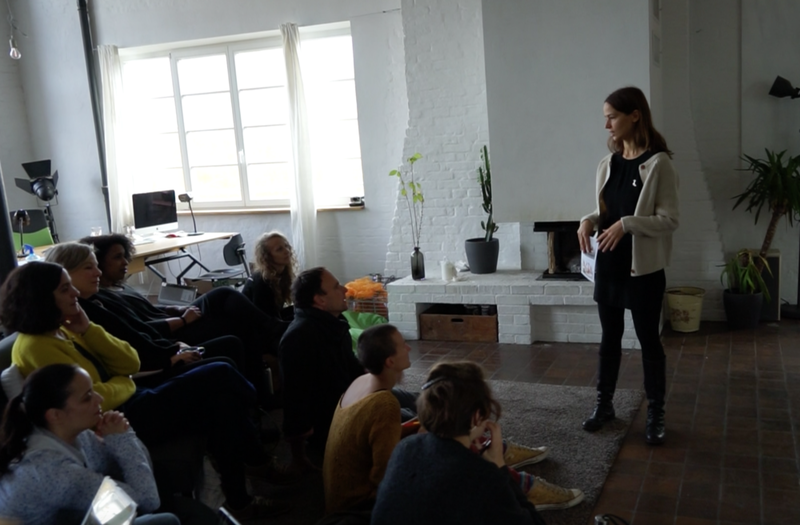 Body Matters mini-symposium: Introduction to Embodied Culture. We invite thinkers and doers, academics and practitioners to get together and create a space for discussion, exchange, and reflection on the intelligence of the body. It will be a meeting between theory and practice. Beside starting a conversation with each other and an inquiry into body intelligence from different perspectives, we also want to develop ideas that reach further and might give us a starting point to work together on bringing the body back into different areas where it’s been left out: classrooms, offices, museums, etc. Are you a professional working towards a similar vision? Would you like to join us in this adventure?